This week the Horror Duo return to their root in the "lower 48" as they narogate the legendary Route 66 while reviewing a pair of road movies. Forest gushes over the killer hitch-hiker flick, The Hitcher...about a hitch-hiker... And Cory covers The Wraith, a killer car movie staring Charlie Sheen. They also chat about the upcoming UFC/WWE crossover, with CM Punk finally getting a chance to prove himself at UFC 203 and Broc Lesnar balancing both UFC & WWE PPV events with weeks of each other. All this and The Rock seems determined to make the Big Trouble in Little China re-make awesome. 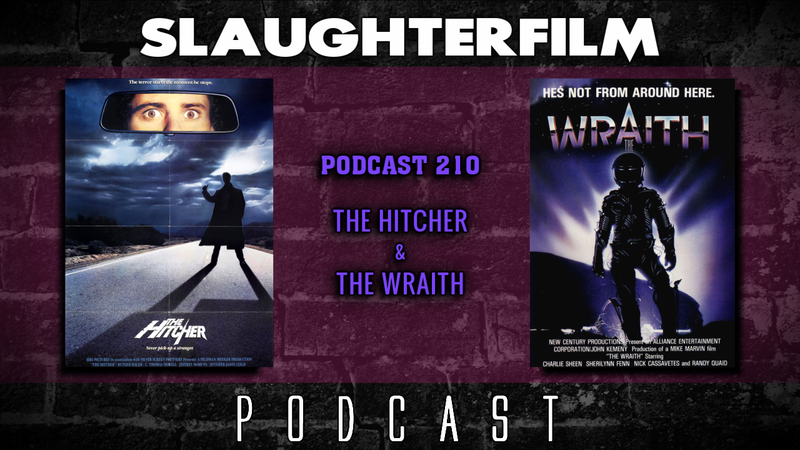 For more Slaughter Film news and reviews, as well as show notes and special events, make sure to visit our website; SlaughterFilm.com.